An attractive and eye catchy Good Evening silhouette to share with your beloved person for free. Kick start the evening with this romantic wish and make the rest of the day more beautiful with your girlfriend. 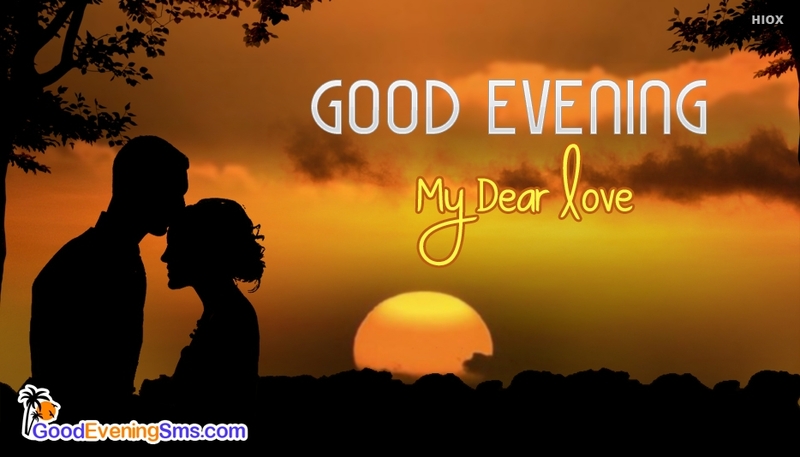 This simple "Good Evening My Dear Love" text image can bring out the smile, happiness and heartful love. Feel free to share this image through any social media platform.